Naks! Thanks bro. Yeah, I sold the Timmy. 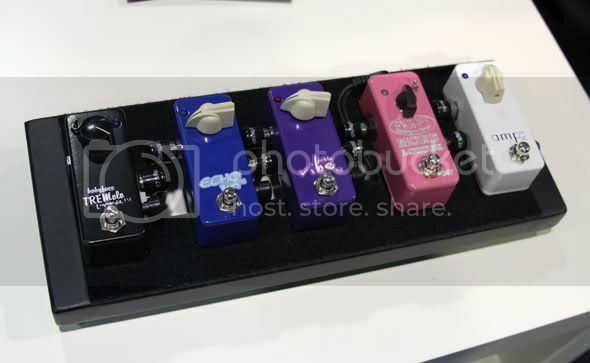 I'm also selling the Foxrox Zim and the Teese Wizard wah to fund for a non-gear related mega want. Seems like you want it badly. Goodluck with your new GAS bro! 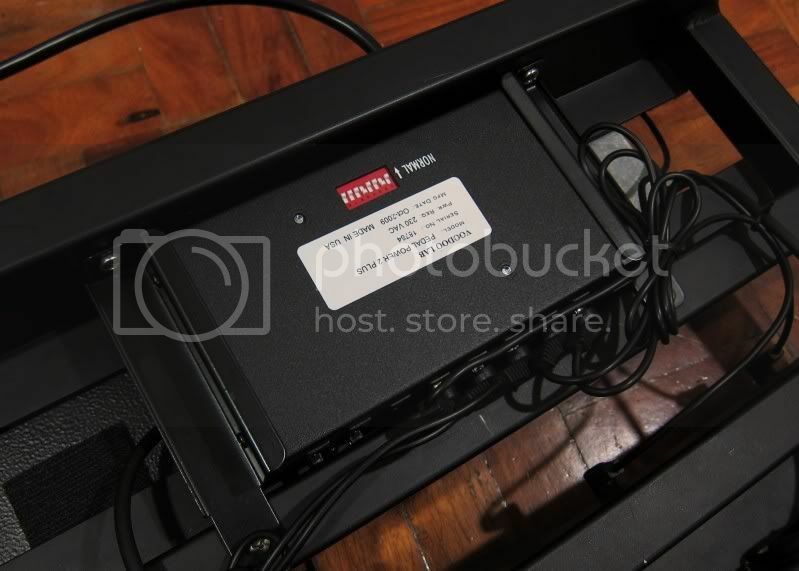 Btw, I like your mounting plug on the front wall of the Pedaltrain mini - Looks really crafty & practical Did that come with the PSU/board or was it bought separately? Nice board Neil Keep those pedaltrains comin'! c'mon dude. your's is just as cool! 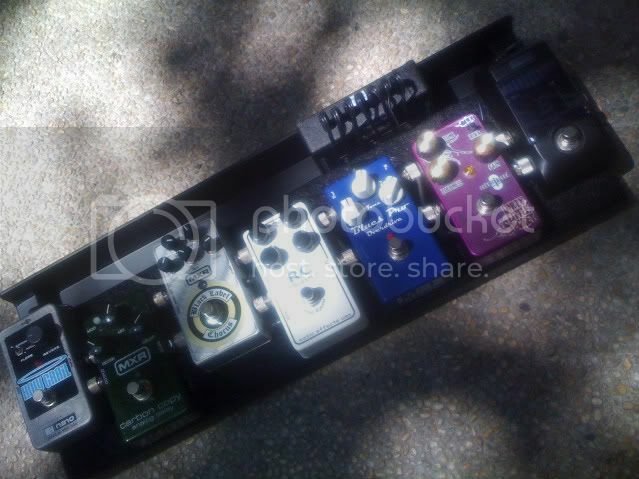 linis ng board ni saturn and red strat.... i like! 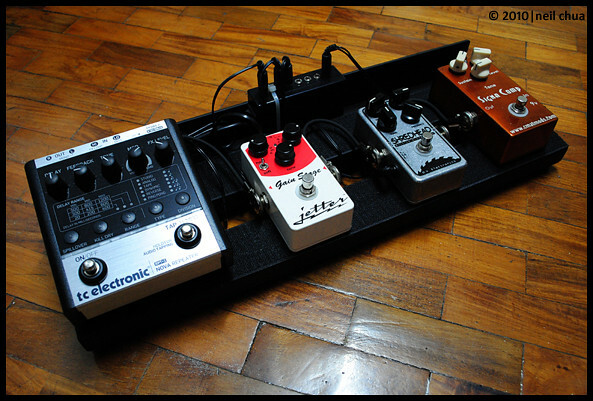 Great set-up Cumbersome, I like how you got to maximize your space for your pedals! 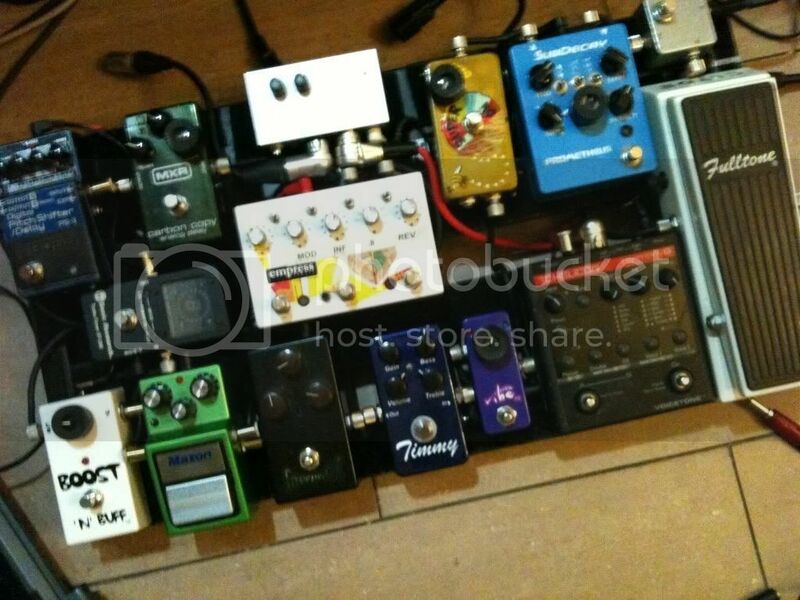 @Boogsy - Beautiful board as always bro One of my favorite Pedaltrain Jr set-up's here in GC! Hey thanks man! Really like yours too. Great choice of pedals! Btw.. I just checked the Pedaltrain website and they now offer custom colors as well. 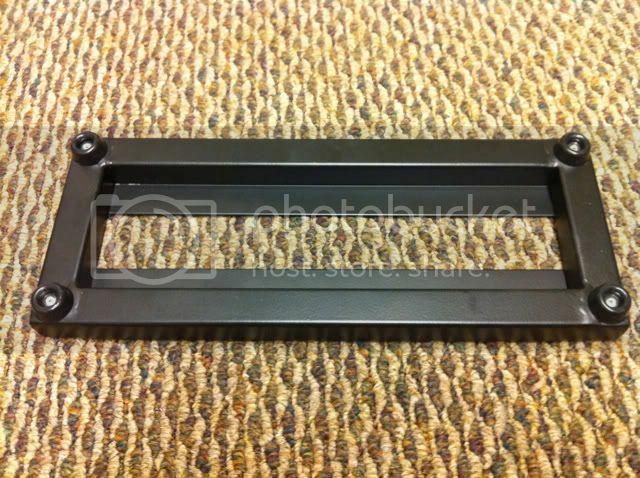 The Pedaltrain Nano looks good too! Looks like they're tapping all sorts of users by expanding their pedalboard line-up. That's a lot of pedals right there. Haha. I like your board Joel, complete na complete! to this using georgle l's. i was able to fit them all without rotating them. im getting a decent 18v psu next time. 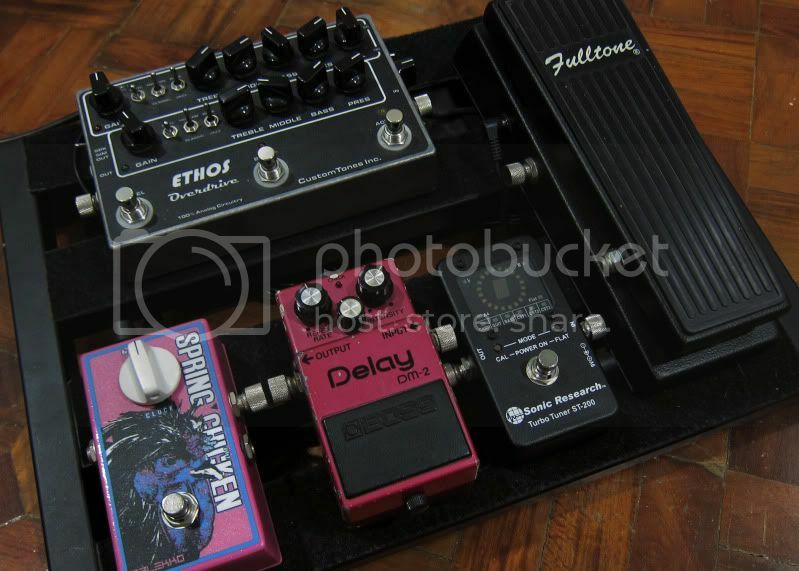 Gusto ko na nga bumili ng pedal board. Ang totoo nga niyan ay madami akong gustong bilhin. Hahaha! Hey, if you want to try out the Black Label, the offer still stands. Hey all, awesome boards all around. I use a PT-1, like Rmansh's...I'll try to post pics here sometime. Anyway, I'm curious how everyone organizes the underside of their 'trains (especially those who don't use custom patch cables and who daisy chain power)? If you guys got pics, even better. I use a one spot and standard length patch cables so my underside wiring is a mess. If I remember correctly, Bart was king at this. Hey! A pedaltrain thread it's tetris for me too! Btw, those nanos look cool--I already know what to put on them.. Haha! But For now, a small block of wood will do. Nice board Barbie Great choices of pedals! Looking forward to see you set-up the Nano when you get yours! Bad Behavior has blocked 84685 access attempts in the last 7 days.